Conti Solar, a national solar engineering, procurement and construction (EPC), O&M and energy storage development company, announced today it has been recognized by Solar Power World as ranking #12 for EPCs in the publication’s Top 500 US Solar Contractors List. 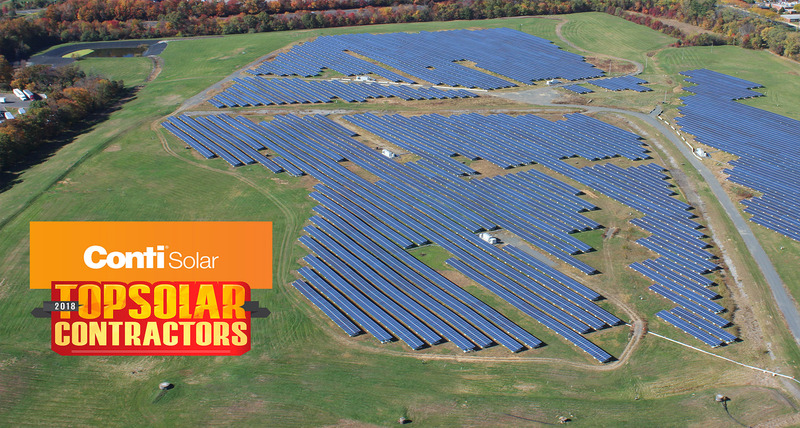 Solar Power World, the leading solar publication covering technology, development and installation, publishes the Top Solar Contractors List annually. The list includes hundreds of US solar photovoltaic (PV) companies that provide the following services: EPC contracting, development, construction/installation, electrical work and/or rooftop-specific installations. Companies can do work in any market segment including utility, commercial, residential, and off-grid; and must be headquartered in the United States. Conti Solar’s high repeat customer rate (over 40% of their clientele) speaks to the company’s deep industry expertise and financial resources to build large-scale solar nationally. The company has installed over 500 megawatts of solar projects in various utility-scale market segments including community solar, commercial, industrial, landfill solar, and agricultural projects. According to GTM Research, the utility-scale solar market is projected to remain consistent throughout 2018 and will more than double in the next five years. * This solar boom has also created over 200,000 jobs for Americans - a number expected to double in the next three years as U.S. solar capacity triples.